The Biodiversity Crisis offers general audiences a clear understanding of the current threat to life on Earth posed by the fastest mass extinction in Earth's history, which has taken place over the last five hundred years. Unlike prior extinctions, this one is clearly a direct result of human activity, not of natural phenomena. Yet the public remains unaware of the crisis in sustaining biodiversity--the variety and interdependence of all living things on Earth. 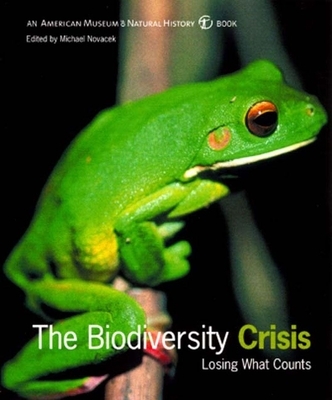 Published in conjunction with the American Museum of Natural History, whose major Hall of Biodiversity opened to great acclaim, the book defines biodiversity, demonstrates its importance to life as we know it, and presents strategies and solutions, including what we can do in our own homes and communities, for stopping the escalating rate of species' extinction. It combines essays by experts including E. O. Wilson, Niles Eldredge, and Peter Raven; profiles of naturalists such as Jane Goodall; and case studies.